Continuing my Spa Sunday series, as well as telling you about some amazing at home spa treatments and products, I will also be sharing some incredible Spa/Salon treatments. 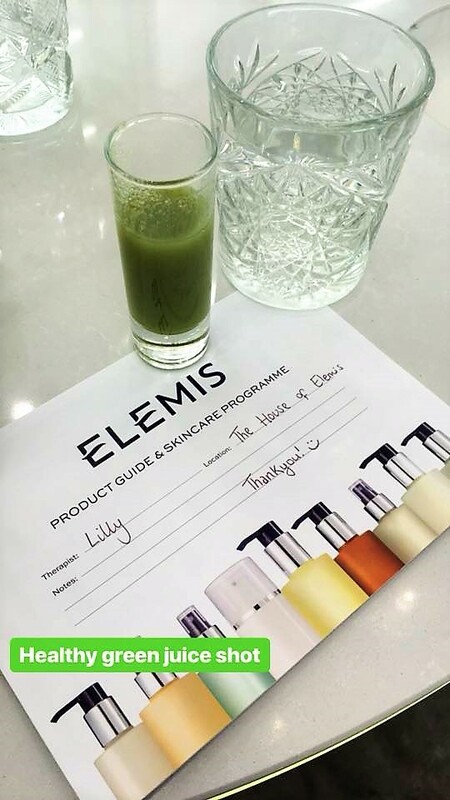 This week The House of Elemis features. 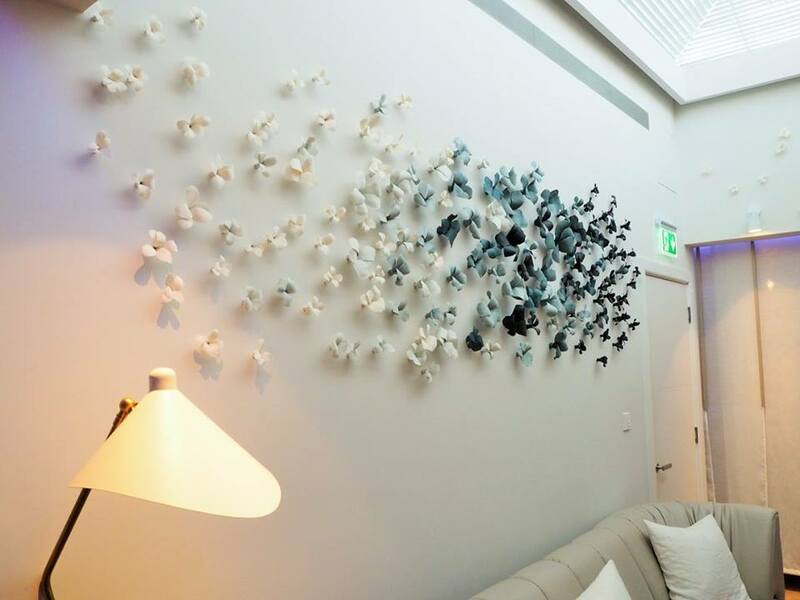 Many of you will already know this is one of my absolute favourite day spas and I have been lucky enough to visit six or seven times since its renovations back in in 2015. 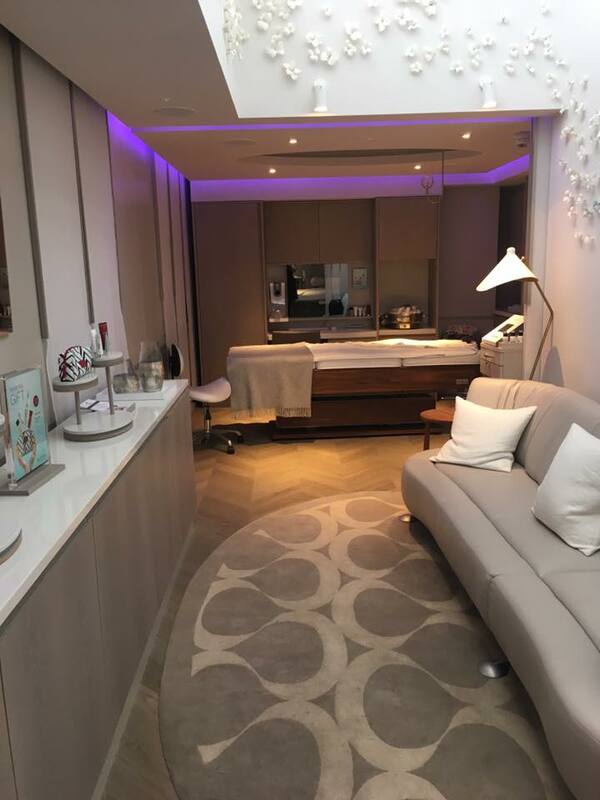 Situated in the heart of Mayfair, the beautiful town house ( which I lovingly refer to as The Mother Ship) features a retail shop, and a range of everything needed from a quick pop in treatment in your lunch break, to a full on pampering and indulgent treatment. I was having the Deeper than deep hot stone massage to help ease my sore, tight and stressed muscles. Upon arrival I was offered a drink then had to fill out all my details, including any health concerns and medication. I was then introduced to my lovely therapist Lilly and taken up to The Penthouse. Now, not everyone is treated in The Penthouse, I was incredibly lucky. Up two flights of stairs, The Penthouse is stunning. 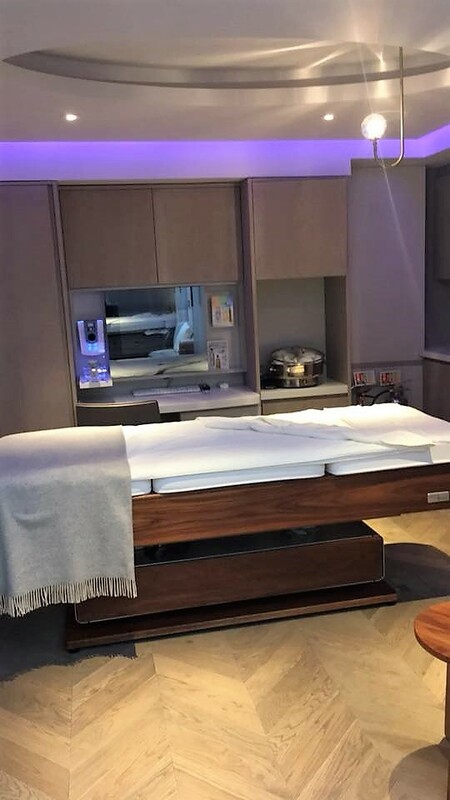 It is a large, airy, beautifully decorated room that has a gorgeous glass skylight ceiling, letting the natural light flood in, a beautiful sofa relaxation area, its own private bathroom with shower and two treatment beds. It really is a oasis of calm. When we got to the room, Lilly explained the treatment I was about to have and asked if I had any questions, she then told me where to leave my clothes (in the hanging wardrobe) and remove all my jewellery and that she would leave the room and give me a few minutes to change before coming back. Now, obviously I have done this many times, but if you have not, this is what you need to know. For a hot stone massage, your whole body excluding your chest, stomach, pelvic region and bum, will be exposed and massaged at different times. So it is great to obviously make sure you are clean, have smooth legs (Sorry Lilly) and know what to expect. I removed my clothes, glasses and jewellery put on the paper knickers provided (Nice) and got under the covers on the incredibly comfortable and soothing heated bed. A few moments later Lilly knocked and came in. What then followed was one of the most blissfully relaxing hours of my life, even though it did take me a good 15 minutes to relax into it as I am such a stress head and always thinking of where I need to be next. Lily began by gently cleaning my feet and legs with warm cloths and then covered half of my body, exposing just one side of me whilst I lay on my front. Hot Balinese stones bathed in luxuriously heady Frangipani oil, were worked all over my body, relaxing the muscles and getting deep into them to relieve tension and hydrate the skin. My muscles released trapped energy and the stones and oil balanced out my energy levels. This was incredible, the stones were hot, but not boiling, there was relaxing music on and Lilly worked her magic on my tired sore muscles. She then spent a while giving me a deep tissue massage across the top of my back neck and shoulders, which were the areas of stress I had previously told her about. I then turned over and she covered one side of my body, and repeated the process, on the top of my chest, arms and legs. Almost drifting off to sleep, before I knew it my time was up. Lilly wrapped the covers over me, told me to take a few moments to relax and then gently sit up. She then said to take my time, to go to the toilet ( you literally wee for England after this as the toxins are flushed out) and get dressed slowly. She left the room. Now you must take the therapists advice and sit up and dress slowly as you are so relaxed on a deeper level that you can feel a bit lightheaded for a moment when you sit up. Included in the wardrobe was some deodorant which I used and I dressed with my body bathed in the Frangipani oil and smelling and feeling absolutely incredible. When I went back downstairs to the shop front, there was a shot of juice waiting for me which is a heathy juice that is great for the system, and a lovely cold glass of water. Lilly then gave me my prescription of products that she had used in-case I wanted to purchase them for home and left. I was allowed to sit for as long as I wanted to and have a look around the store. Never at any point did anyone ask or pressure me into buying anything. It truly was a relaxing, amazing experience and you can clearly see why I keep going back. I believe the treatment I had would be £105, which I know is a lot of money, but sometimes, your body really needs to be in expert hands. For someone like me that struggles with aching muscles through illness and the constant use of a computer, a treatment like this once or twice a year is so worth it. The only thing I will mention is, if you do suffer from muscle pain, as I do, hot stone massage relaxes the muscles enough, so that at the time of the treatment you should not feel any discomfort during the massage, however the next day, you may feel some aches and pain which I always do for about two days. So do bare that in mind. 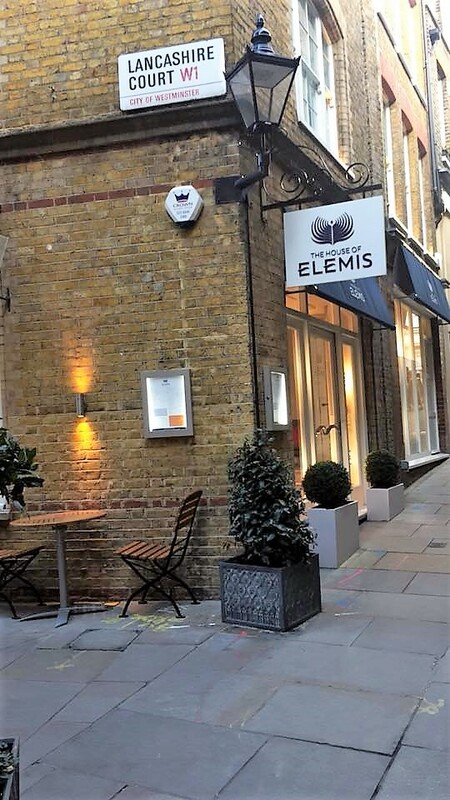 Have you ever been to The House of Elemis? Which is your favourite Spa treatment? Let me know I would love to hear from you. Oh deffo spoil yourself with one! I could live here haha! This sounds heavenly. 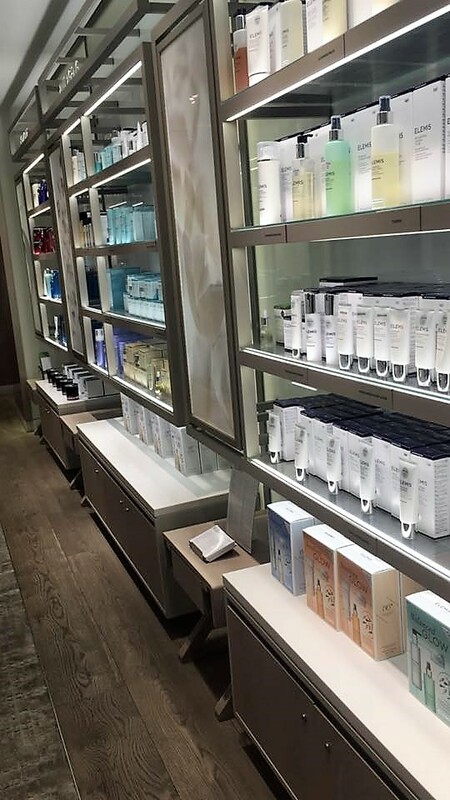 You know you're going to get a quality treatment with Elemis. This sounds like such a fabulous treat! I used to be afraid of getting massages because of the whole fear of nakedness thing you mentioned, but I’m getting braver!